If history, food, and the great southern outdoors are what you're looking for, then you need to head over to Asheville. This city in North Carolina is growing fast and has plenty of attractions for everybody. Here, you can visit historic attractions like the Biltmore Estate and the home of Carl Sandburg, and get to know more about Asheville's rich history. You can also enjoy some great beer and southern cuisine at one of the many local bars and restaurants, or enjoy the view at the Beaver Lake Bird Sanctuary. Asheville has some amazing parks, and as a local homeowner, you'd be more than happy to have your lawn look as great as them. One way of doing that is by regularly having your lawn aerated, and there's no one better for the job than Lawn Love. We have independent lawn pros who each have an average of 10 years of experience and are familiar with the pests and weather challenges in the area. They have the equipment needed to properly aerate your lawn so it will look greener and healthier all-year round. Regularly having your lawn aerated is important, so show your grass that you care by calling us at 828-782-3529. If you want to see our affordable rates, you can simply request for a free online quote. 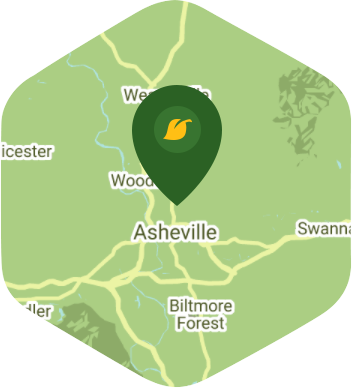 Here are some average aeration prices for homes in Asheville.